Ghana is the first African Country to organize a concerted effort to commemorate the 400 year anniversary of the arrival of the first enslaved Africans in the United States in 1619. The “Year of Return, Ghana 2019″ is a year long commemoration and celebration of the global African resilience. 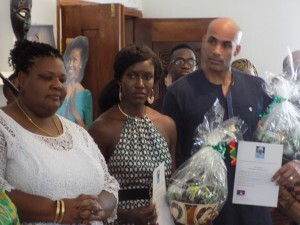 In September 2018, the President of the Republic, Nana Addo Dankwa Akufo-Addo, launched this initiative in Washington following a successful local launch at the National Theatre in August 2018.
being the first African nation to celebrate Emancipation day – recognizing the end of enslavement in the Caribbean and the introduction of the Joseph Project to reunite the African Family. Ghana housed approximately 75% of the dungeons built on the West Coast of Africa and 2019 presents an opportunity for the global African family to embark on a personal and collective Birthright journey to embrace the experience of traveling full circle back to their homeland . The year long calendar of activities includes spiritual pilgrimages, business and investment meetings , musical concerts, gospel shows, cultural and wellness programs, family reunions and others.